Since Tuesday the behaviour of the bee-eaters has changed markedly and it appears that at least two of the three nests have failed. Instead of individual birds regularly flying into the nest holes with food the birds are now increasingly staying as a tight group of six birds. We have reviewed the nest camera footage and the frequency of nest visits leading up to Tuesday is also well below the 30 visiting per hour expected at this stage in the cycle. There is no sign of any disturbances at the nests and despite foxes being present in the quarry these have been successfully deterred during night time hours. Reviewing the footage hasn’t shown any sign of Stoats/Weasel activity and all the six adults are alive. There has been an increase in Sparrowhawk sightings and a recently fledged Kestrel family is now in residence in the same part of the quarry as the bee-eater nest so that may have had an impact. We suspect this is a natural failure probably linked to food provision for the young . 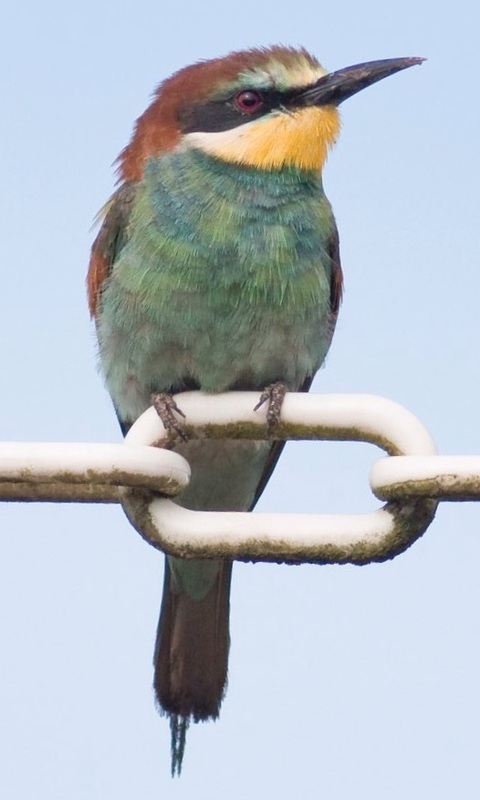 Despite being able to lay up to 9 eggs, bee-eaters typically hatch 3-4 eggs and if a helper is not assigned to a nest then it is only expected that 1-2 young will survive, even in good weather with a profusion of insect prey. Yesterday the third nest had an adult bee-eater sitting in it and later in the day this bird was taking food back to the nest but it is clearly operating alone. Last night the adult birds did not roost in their nest holes. This morning no bee-eaters have been seen associating with the nests. If it is proven the nests have failed then everyone associated with the project will clearly be absolutely gutted. We are continuing to monitor the situation and will keep updates coming. We will make a call about the car park in due course. Colonising species suffer these ups and down but that doesn't make it any easier for us humans.